For more than 40 years, the Shiawassee Community Foundation has been helping donors make the most of their charitable contributions and fulfill their giving needs. Giving is easy, and donations of all sizes make a meaningful difference in our community. There are many ways you can donate to the Shiawassee Community Foundation. There are over 100 different Agency, Field of Interest, and Scholarship funds to donate to at any time. Simply select a fund and click on the “Donate” button and follow the prompts. A gift of cash is the simplest way to give. You are eligible for a charitable tax deduction that will provide you with savings on this year’s tax return. Donate Online. Make a secure online gift to an existing fund. Mail a Check. Checks can be mailed to the Shiawassee Community Foundation, P.O. Box 753, Owosso, MI, 48867. Make your check payable to the Shiawassee Community Foundation with the name of the fund you are giving to in the memo line. Gifts of Stocks and Bonds. A gift of securities is an easy way for you to make a donation. By making a gift of appreciated securities, you can avoid paying capital gains tax that would otherwise be due if you sold these assets. Life Insurance. Life insurance policies that are no longer needed for their original purpose make excellent gifts when given to the Community Foundation.  You can either designate the Community Foundation as the beneficiary or you can gift the policy during your life and likely receive an immediate income tax deduction. Retirement Assets. Retirement assets can be easily gifted to the Community Foundation by changing the beneficiary designation. Charitable Remainder Trust. A charitable remainder trust is established by you and is a separate trust that benefits only you or your designated beneficiaries. There are several types of charitable remainder trusts to fit a variety of situations. We encourage you to speak with your professional advisor to learn what will work best for you. Many donors prefer to leave a legacy with a gift at the end of their lifetime. We are here to help you create a lasting impression for your community. We encourage you to talk with a professional advisor about what options work best for your unique situation. We can discuss your charitable goals and establish a fund to match your passion with a purpose. We invite you to contact Kim Renwick, Executive Director, at 989-720-7440 to discuss your interests.